Instant Luxury Rentals - From exotic sports cars to luxury sedans and SUVs, Instant Luxury Rentals features one of the largest selections of exotic and premium luxury vehicles from manufacturers around the world. Including Lamborghini, Bugatti, Aston Martin, Jaguar, Alfa Romeo, BMW, Mercedes-Benz, Audi, Koenigsegg, Tesla, Ferrari, Maserati, Porsche, Bentley, Range Rover, Rolls-Royce, Land Rover, Cadillac, Fiat, McLaren, Mini, Lexus, Tata Motors, Peugeot, Pagani and more. Rent from our multi-million dollar fleet for your next event. Instant Luxury Rentals has the perfect exotic you need for your special occasions, such as a wedding, celebrating an anniversary, or providing a vehicle as a birthday gift for the car enthusiast in your life. While we have 40 locations at Instant Luxury Rentals, we can deliver to any residential and commercial location in the Southeast, Northeast and Midwest regions in the United States. Just call ahead and we will arrange delivery. 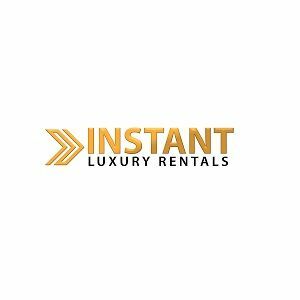 With more than 16 years of experience as a leader in exotic car rental, Instant Luxury Rentals is an internationally recognized brand with neighborhood and airport locations all over the country. Super exotic and luxury cars are available for rental in Miami, Orlando, Georgia and Atlanta. Prestige luxury rentals are one of the leading exotic car, sports cars etc.